One of the most exciting things being developed with virtual reality systems like the HTC Vive and Oculus Rift is creating animated films using 3D virtual puppetry. Flipside an application dedicated to the entire production of creating an animation using virtual puppets. It is literally a VR studio where you set up your set, lighting, cameras, and puppet your actors all in the VR environment. As a production environment it can be fully operated by a single person. Each character can be puppeted individually and then their performances overlaid into a full, multi-character animation. 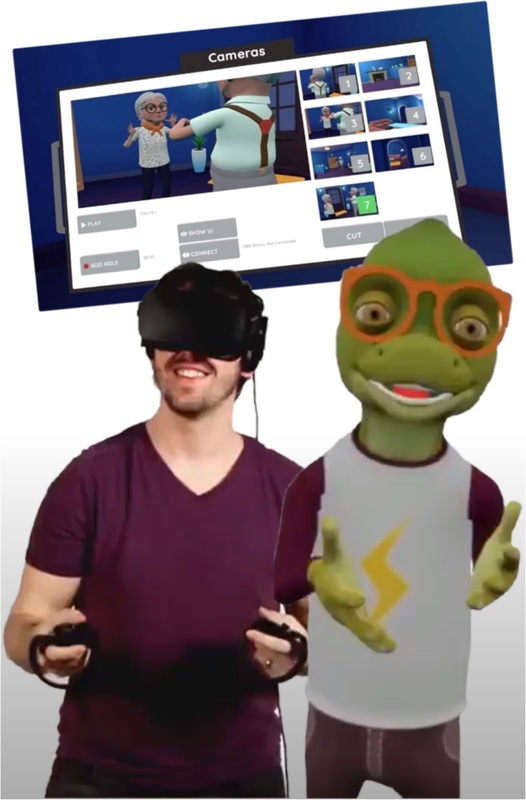 Even more exciting is that, because everything is done in real time, you can use Flipside to create live performances of your characters to virtual and augmented reality viewing audiences. See Flipside's video below for a more detailed overview of what it can do. Personally I haven't used Flipside so this is not a review. I'm just excited by the possibilities and wanted to share that with you because it's not a system I'm likely to get my hands on anytime soon. I highly recommend you check out the Flipside website and in particular view some of the shows being created already. Their blog is also quite an interesting read too. If you'd like to see someone who is actually using the Flipside with mixed reality (which is a setup where a green screen and camera set up is used to combine the real world operator with the virtual world watch YouTuber, Josiah Brooks, A.K.A. DrawWithJazza in his Daily Jazza vlog below as he works on a Flipside movie he is creating. It's really amazing idea Here is Custom Animation Video Monster has making character like is this good idea if i give them to make 3d character to use with this?